Pain can manifest itself in many ways and can often be a sign from the mind and body that something is out of balance. 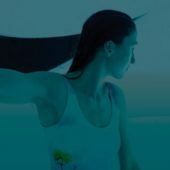 Due to the weightlessness and sensory restriction experienced in the float tank, floatation therapy can aid with relief of pain associated with rheumatoid arthritis, chronic osteo-arthritis, sports related injuries, migraines, back and joint pain, fibromyalgia, tendonitis, bursitis and traumatic injuries. An increasing body of research supports that floatation therapy reduces pain and improves joint mobility in arthritis sufferers. The effects of gravity are removed, allowing the spine to lengthen and pressure on the back, neck, joints, muscles and tendons is alleviated. The release of this pressure increases blood flow to areas in need of healing. The experience of weightlessness and sensory reduction triggers the body to produce elevated levels of endorphins and enkephalins which help to deal with pain. These natural painkillers block the transmission of pain signals at the level of nerve cells and may be more effective coupled with the pressure release of weightlessness and improve blood flow. In particular, beta-endorphins are released which are more powerful than many prescription drugs. The reticular activating system, RAS, found in the brain stem normally responsible for alerting the body to “fight or flight” responses and for regulating pain sensations, turns its focus away from external stimuli and begins focusing on internal stimuli. This redirection of the RAS toward internal stimuli allows you to lose the sensation of being connected to the body. Floating also stimulates the parasympathetic nervous system which is responsible for the relaxation response. The release of tension in the body and lowering of stress hormones may also be responsible for the pain relief. Moreover, pain relief associated with floating allows chronic pain sufferers to break the cycle of pain-depression, enabling improved healing. At The Float Space we can also help you design an individually tailored treatment plan combining the powerful healing methods of floatation, massage and infrared sauna. CONTACT US to find out more about how our therapies can help you effectively relieve pain and inflammation. Book your float now to experience pain relief safely and naturally.